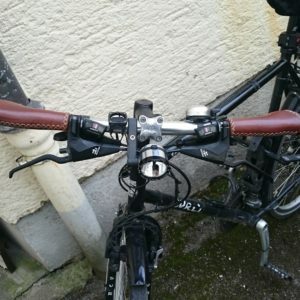 A couple of weeks ago it happened again after more than 10 years… I managed to get the front wheel of my every day crosser into to a tram rail at the underbridge to Pfersee next to the Augsburg main station and crashed at a speed of about 35 km/h :-(. The result: A scrape on the right knee, handle bar of the bicycle damaged, right brake lever broken out of its stay. Fortunately the accident was at night where there was barely any traffic at this place – otherwise it could have been much worse. 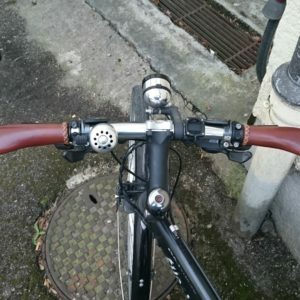 For the replacement of brake lever and handle bar I went to a workshop this time since I was very limited in my movements for nearly two weeks and doing any repairs on the bicycle was quite impossible for me. 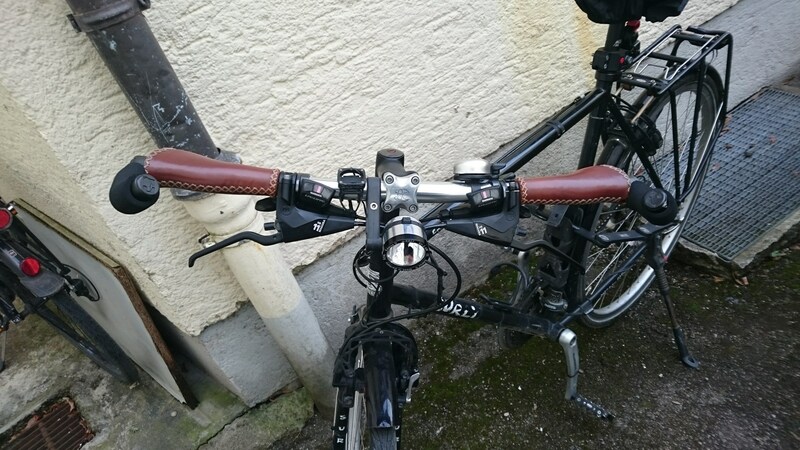 Now I have a new handle bar and a new brake lever. 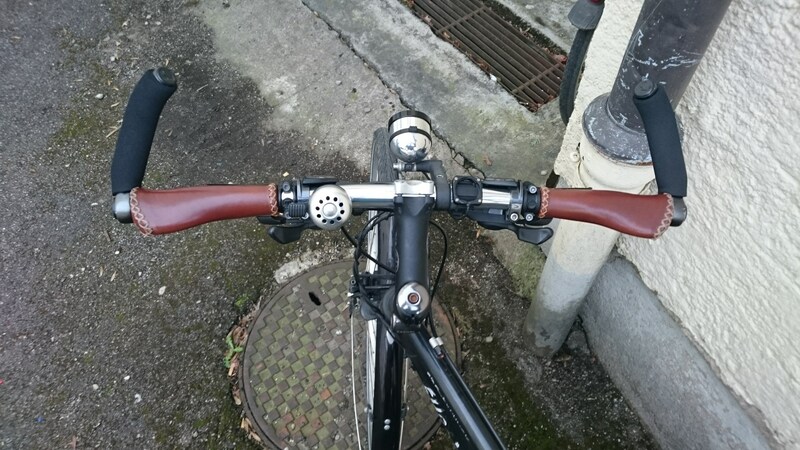 The handle bar is a bit taller with 580 mm compared to the 600 mm of the old one. However, all parts still fit and I find this even more comfortable. 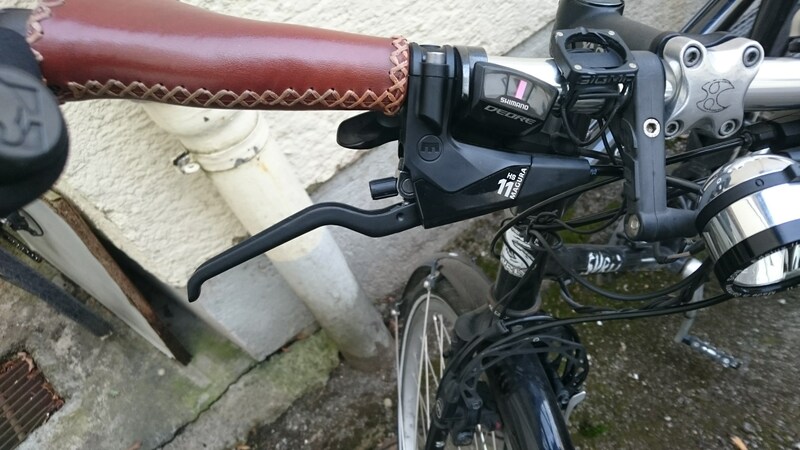 For the current version of the HS11 brake lever Magura has changed the appearance a bit. 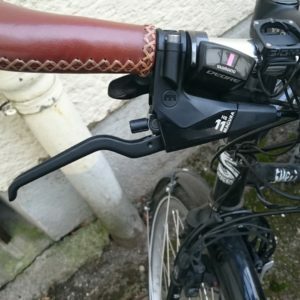 The clamp on the handle bar is now solid and not with open parts as before. The lever itself has still the same basic shape but the surface has now a rough texture and the inside part is shaped a bit different. But this doesn’t bother me as the function is flawless and the old covers still fit.